Miss K and I recently visited Vivid Sydney and wanted to eat somewhere nearby at Darling Harbour. 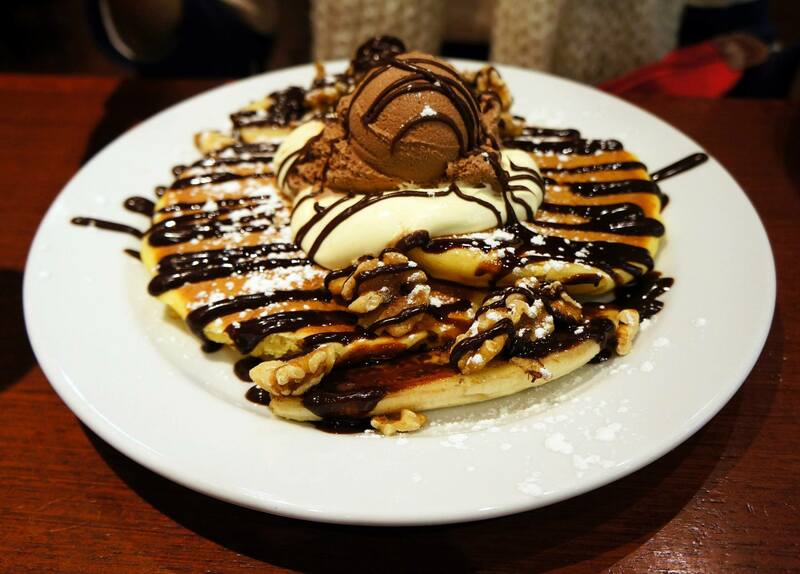 It was a choice between Hurricanes or Pancakes on the Rocks but we ended up with Pancakes because the line looked shorter (we were wrong), the wait was about 40 minutes in the end but it was worth it because we were both craving pancakes and bananas! We’ve been to many of the restaurants in this chain and found that they’re very consistent with serving sizes and taste. We decided to order one savoury and one sweet dish since we weren’t that hungry. Miss K decided on the Hot N Tropo Pancakes (above) which were basically buttermilk pancakes, chocolate sauce, chocolate ice cream and bananas on the side. I love the pancakes here because of how delicious they are, even though the serving was massive we managed to finish it with a little bit of a struggle. Our savoury dish was the Tabriz crepes which were a simple mix of minced beef and tomato inside a crepe that is surrounded by a tomato based sauce. 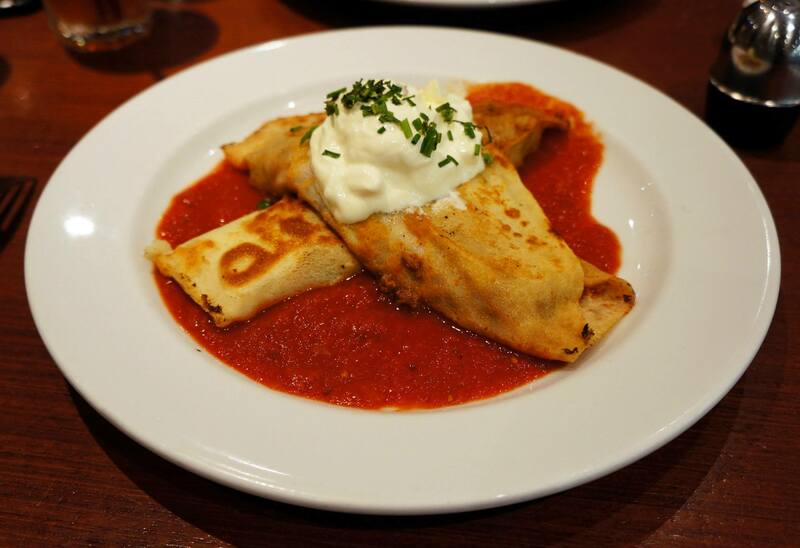 The crepe is topped off with sour cream which I always love and overall it was a great dish, quite filling and full of flavour. The only issue I had with this one was that it’s a bit plain for a crepe – basically just tomato and beef mince and nothing else. 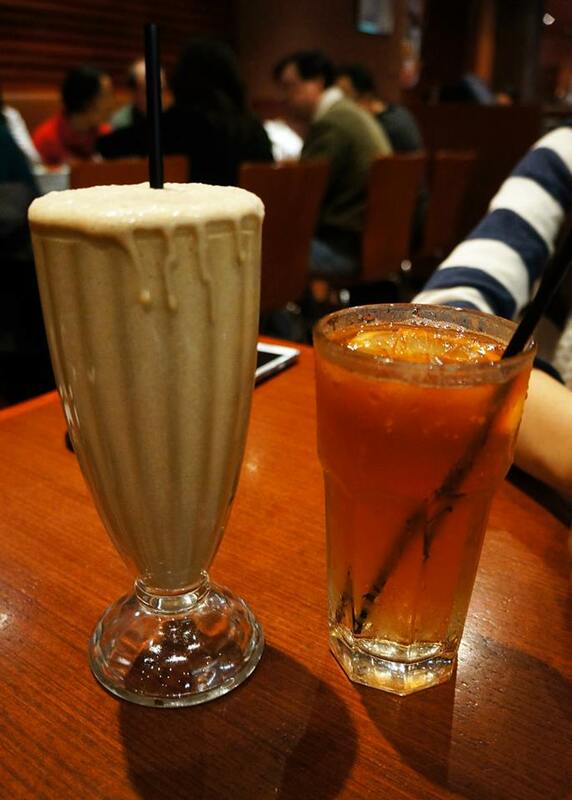 To top off our meal we decided to go with a chocolate milkshake and lemon lime bitters, both were really good. Unfortunately Miss K took all the milkshake and I hardly got any, but I managed to get all of the lemon lime bitters to myself! Looks delicious! I love a good pancake, especially with some sort of chocolate flavour on it so I just know I would love this! I actually think that the ribs from pancakes might be better. I went to Hurricane’s some time ago and it didn’t seem all that special, especially with having to deal with the extended waiting times because of the crowd. Pancakes at the Rocks definitely have huuuuge servings! But love the pancakes there 😀 and ribs too!